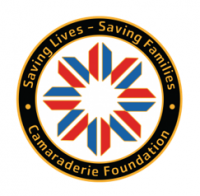 Camaraderie Foundation’s Saving Lives – Saving Families campaign began June 1, 2018 and continues through December 31, 2019. Your donation will help us reach our goal of $2 million to provide one thousand post-9/11 Veterans and/or family members the support they need to “heal the invisible wounds of war”. 84 cents of every dollar donated will directly support Veterans and their families.